Exposure to air pollution at the place of residence increases the risk of developing insulin resistance as a pre-diabetic state of type 2 diabetes, report scientists. Exposure to air pollution at the place of residence increases the risk of developing insulin resistance as a pre-diabetic state of type 2 diabetes. Scientists of Helmholtz Zentrum München, in collaboration with colleagues of the German Center for Diabetes Research (DZD), reported these results in the journal Diabetes. For the current study, she and her colleagues in collaboration with German Diabetes Center Düsseldorf and the German Heart Centre analyzed the data of nearly 3,000 participants of the KORA study who live in the city of Augsburg and two adjacent rural counties. All individuals were interviewed and physically examined. Furthermore, the researchers took fasting blood samples, in which they determined various markers for insulin resistance and inflammation. In addition, leptin was examined as adipokine which has been suggested to be associated with insulin resistance. 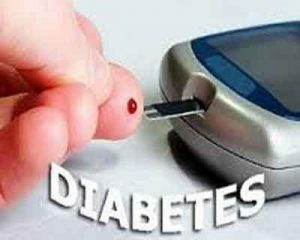 Non-diabetic individuals underwent an oral glucose tolerance test to detect whether their glucose metabolism was impaired. The authors are also concerned that the concentrations of air pollutants, though below EU threshold values, are still above the proposed guidelines of the World Health Organization (WHO). As a consequence, they demand changes in government policy: “Lowering the threshold for acceptable air pollution levels would be a prudent step,” said Dr. Alexandra Schneider, who was also involved in the study. “We are all exposed to air pollution. An individual reduction by moving away from highly polluted areas is rarely an option.” Moreover, the association between increased exposure to air pollution and respiratory and cardiovascular diseases has now been clearly established.